Elysee Residence is 2 minutes walk from the beach. 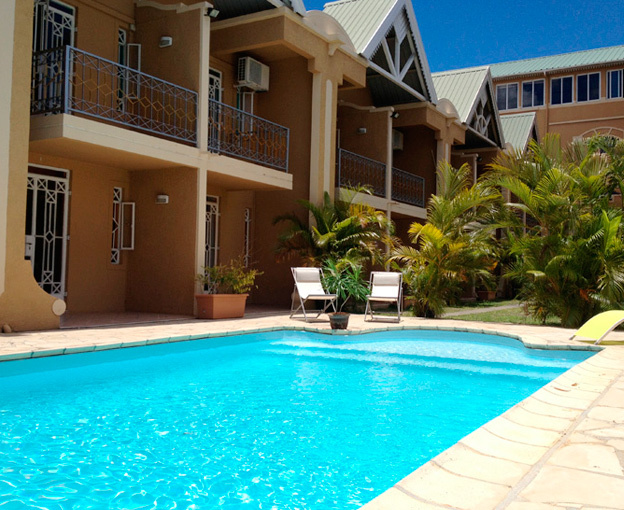 Located opposite the beach in Trou aux Biches, Elysee Hotel Residence offers self-catering apartments, a restaurant and an outdoor pool. It is 7 km from Grand Baie, and 25 km from Port Louis. Sir Seewoosagur Ramgoolam Airport is located 75 km away. © 2017 Residence Elysée. All Rights Reserved.